The current Leaderboard ranks the best absolute performance, however, athletes are not always be beating their previous best. 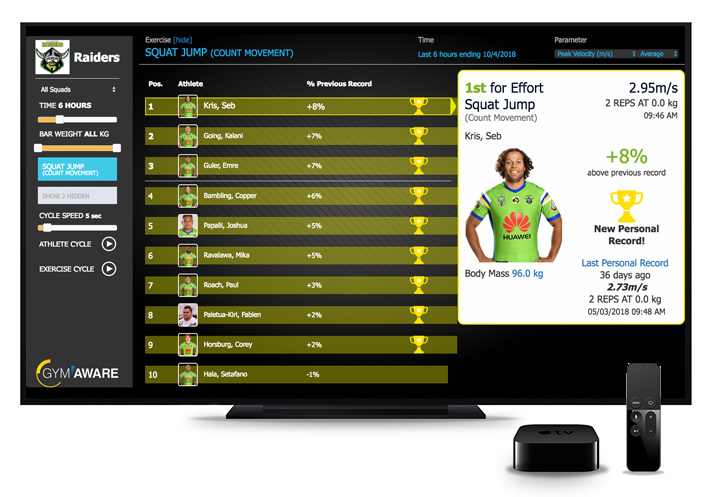 Introducing the the "Effort based" leaderboard to the GymAware Cloud account - it's based on the percent of Personal Record. The Effort board compares the current performance to the best previous performance for every lift weight across all exercise types. It compares like for like. If the athlete is deadlifting 220lbs then the board looks at that data and compares it with their previous 220lbs effort. The athletes are then ranked according to how close they are performing to their previous best. If a athlete improves on their previous then they are ranked according to how much as a percentage that they beat it by. Athletes that don't surpass their previous best records are also ranked a percentage down from their previous best. So you can see, the athletes at the top may be within (for example) 10% of their best, whilst the athletes are the bottom of the list are (for example) >25% below. The theory behind the Efforts board is that the coach can easily see who is performing relative to their best and who is not. Perhaps these guys at the bottom are just taking it easy - or maybe they have a good reason why they are a ways off their best. This April, Evan and David will be hitting up the North and South islands to run practical workshops using GymAware in the weights room. These free seminars are an excellent opportunity to further knowledge and gain insights in a face to face setting. Topics covered will range from implementation of VBT concepts, servicing, data management, auto reporting and protocol. Did you know by cleaning the angle sensor helps prevent 90% of tether issues. 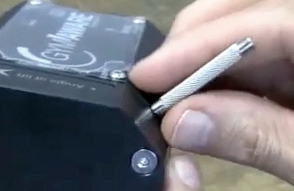 The key to success is to get the angle sensor tool all the way in! As always, we would love your input, so please contact us with your suggestions. Copyright Â© 2018 Kinetic Performance Technology, All rights reserved.